Great homes deserve great materials! That’s why we have created a low threshold sliding door that compliments our Frame IC / Nation IC composite window series perfectly. The low threshold Frame IC / Nation IC Sliding Door is easy to operate, with just a single handle. 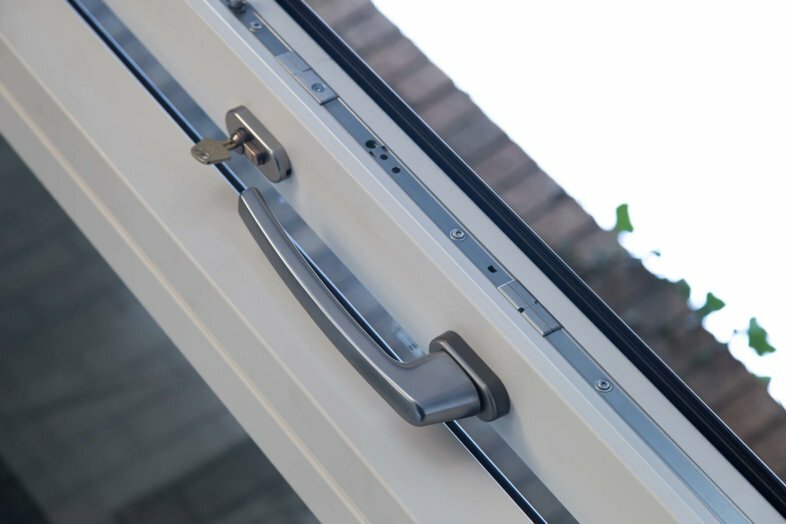 It rolls easily on double rollers and have a maximum clear opening of 1522 mm – providing a great gateway to the outside. The overall maximum height is 2600 mm and width is 3350 mm. 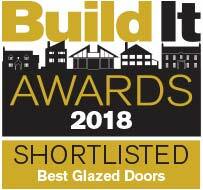 The new low threshold sliding door is shortlisted for Best Glazed Doors at Build It Awards 2018. Fingers crossed for 9th November. Get a FREE quote for windows and doors for your project. The ironmongery and the multiple locking points ensure a great seal onto the frame when the door is closed. 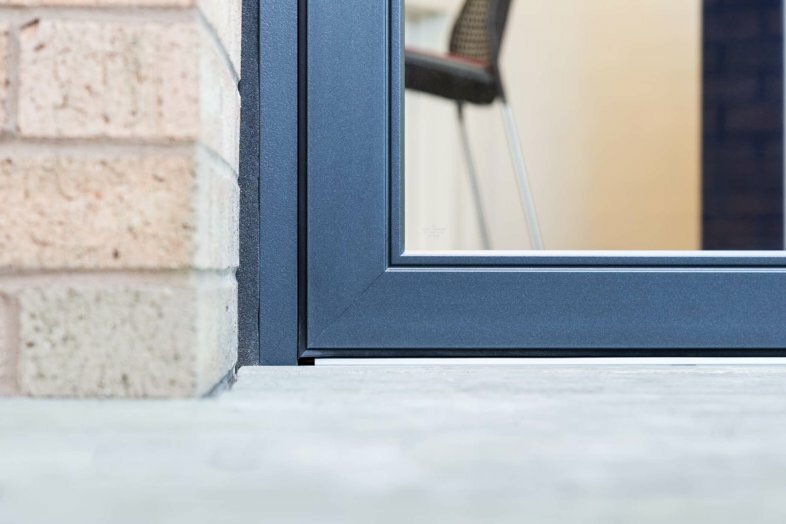 The tight seal means less air changes of your house and lower cost for heating – Ideal for Passiv Haus and other eco house project. 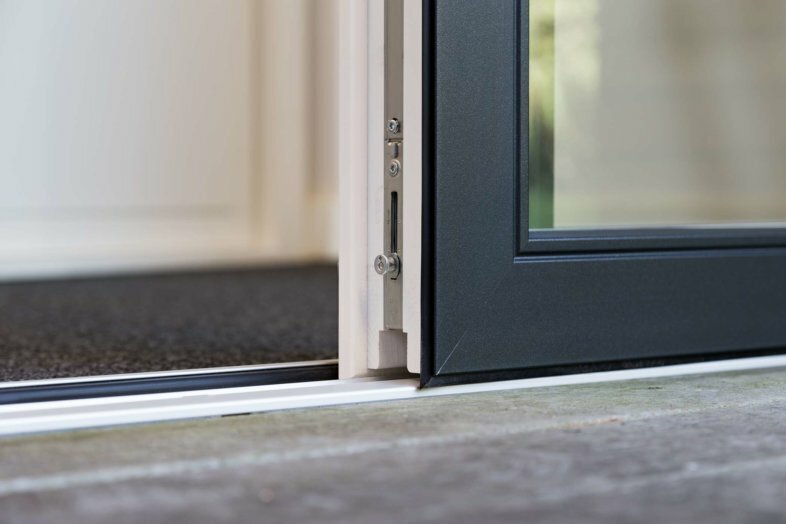 Upon opening the door protrudes 8mm to allow friction-less sliding on the outside of the fixed light. The fixed light in the door is always supplied as triple glazed as a step toward creating better homes. 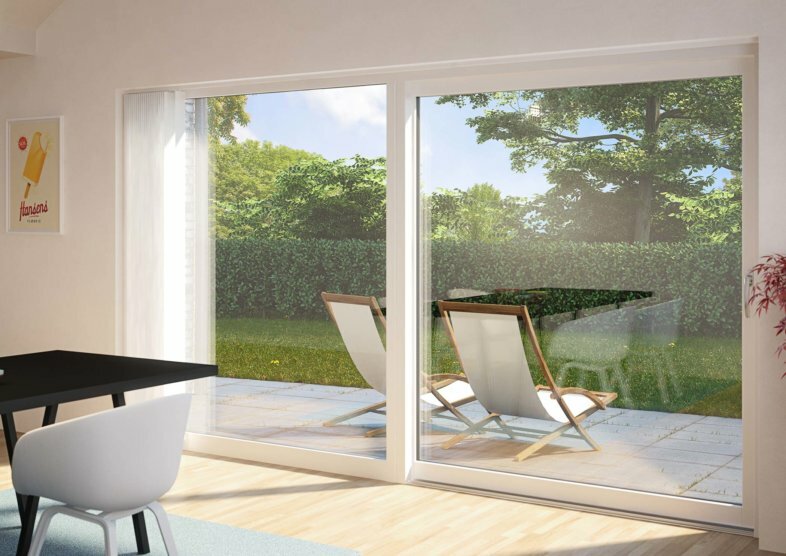 With triple glazed in the sliding part, the U-value is just 0.91 W/m²K and 1.18 W/m²K for double glazed. 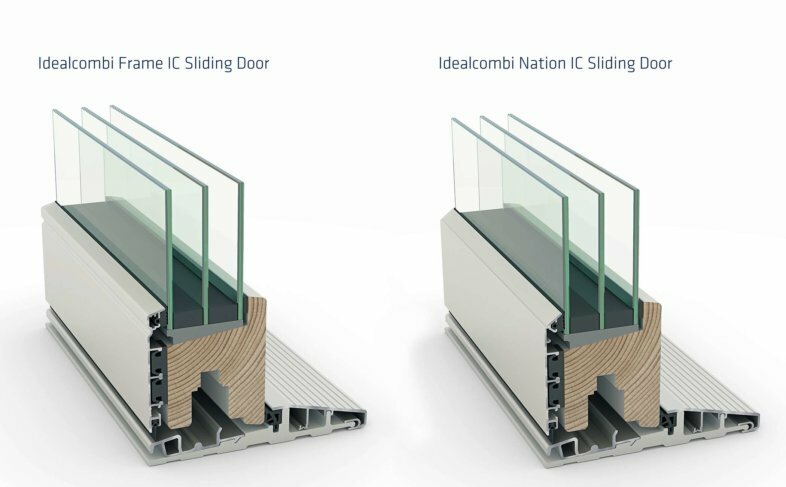 Initially the Frame IC / Nation IC Sliding Door is available as a single sliding door – a double/bi-parting option will be available at later date. 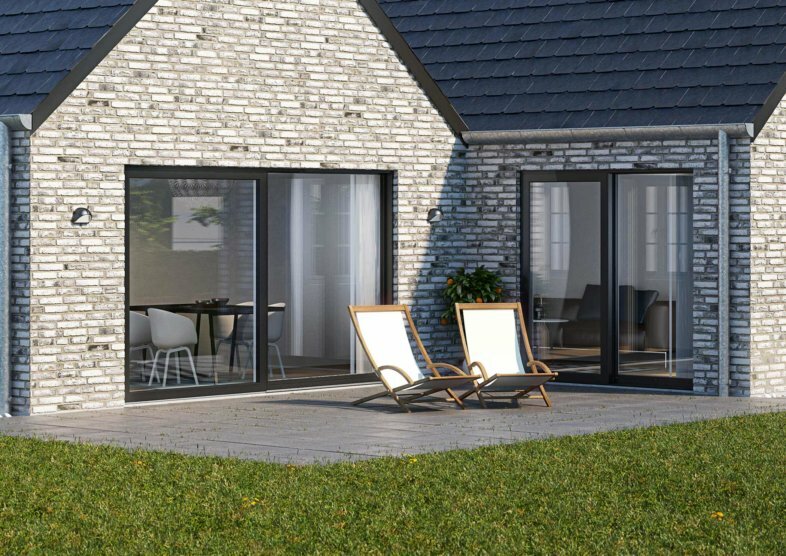 The Idealcombi low threshold sliding door is available with a Frame IC or Nation IC external aluminium profile. 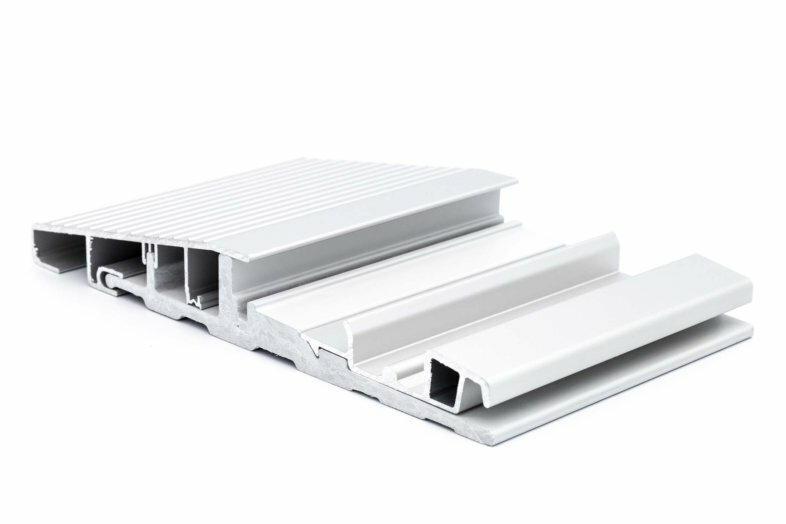 The matching external profile ensures a consistent look throughout your build. As with our windows, the Frame IC looks like a traditional wooden glazing bead finish while the Nation IC has a glazing putty look to it.